When the old witch woman of Bayou Loup tells werewolf Landry he has to go to New Orleans, he wants to resist. He has his pack, his place, but who is he to fight destiny? When vampire Thierry sees Landry on the streets of NOLA, he knows what he wants. Landry is the best thing he’s seen in a long, long time, and Thierry intends to have him. Landry has no idea how to make it in the city, and he has no intention if mating with a vampire. All he wants to do is survive his first moon in an unfamiliar place. 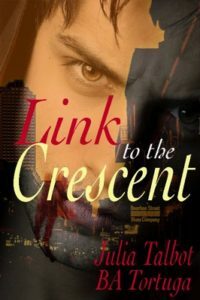 Can Thierry convince Landry they’re meant to be, and band together with him to fight the other creatures that want them out of the Crescent City for good? Note: This title is previously published. It was originally printed in the Po Boys anthology.